Welcome to Our Holistic Dental Center! We focus on performing holistic dental care that is good for the body as well as the teeth and gums. As a holistic dentist, Dr. Gashinsky treats the cause of the problem and not just the symptoms. He seeks to improve his patients’ quality of life through holistic dental care that respects and honors the body. The result? Perfectly healthy teeth and gums with a healthy body! Call for Details +1973-379-9080 Today! Watch Dr. G on CBS! Learn more about Biologic Holistic Dentist Dr. Gashinsky for all holistic dental services. See Dr. G on CBS TV show American Health Front where he talked about metal toxicity. Find Out About Our New Holistic Lifestyle Seminar! 1. Is this a mercury-free practice? Yes, we only use vetted composite and porcelain material. We will and never have used mercury for fillings. Are you mercury safe? Yes all the doctors here are SMART certified through the International Academy of Oral Medicine and Toxicology which indicates they follow very strict protocols in removing mercury fillings to keep you safe from mercury vapor exposure. 2. Is there a mercury separator to prevent mercury pollution of water supplies? Yes, we actually have 2 separators. Dr. Gashinsky implemented the technology in this practice 9 years before it was mandated by law in 2009. 3. Is there a particular sequence for removal of restorations (amalgam fillings) that is followed? Yes there is, to keep you safe from any reactions the doctor will evaluate what is the priority and will map out a safe sequence for your amalgam removal. 4. Is there any special rinsing provided during and after amalgam removal? Yes, we use a combination of supplements to aid in detoxing the mouth during treatment. 5. 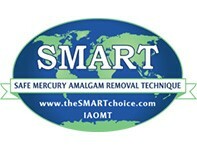 Do you have mercury vapor collectors in the treatment rooms? Yes, we have a large air filtration system that is used during mercury removal. 6. Do you use an amalgameter to measure the galvanic current coming off each filling? Yes, we use an approved amalgameter for our state and we will review the readings with you to plan the amalgam removal sequence. 7. Is your office a fragrance free office? Yes and no. Yes because we do not use any artificial fragrances, deodorizers or cleaners, but we do use pure essential oils for cleaning and diffusing. Please let use know if you have any specific sensitivities. 8. What do you know about the tooth-organ relationship, such as defined by the acupuncture meridian system? All our doctors and coordinators use it on a daily basis and many of our patients are amazed at the connections and they physically see improvements when they are addressed. 9. What kind of professional training have you had in holistic dentistry and what organizations do you belong to? 10. Do you offer ozone therapy in your office? Yes, we offer ozone therapy in its’ three forms; water, oil and gas depending on the procedure and therapies needed. All our services focus on keeping your body healthy by natural, minimally invasive and gentle treatments to improve your quality of life. Our philosophy of holistic or biological dental medicineinvolves mercury-safe dentistry. We remove mercury fillings according to the protocols set by the International Academy of Oral Medicine & Toxicology (IAOMT) – safe and secure! When it comes to dental implants, we offer the 100% natural looking and non-metal Zirconia implants to bring back your smile! Gum disease can cause serious health risks. With our gum treatment procedures including gum rejuvenation and a fullgum restorationtreatment, we can give you a healthy smile again! Unlike any traditional teeth cleaning, our holistic dental cleaning is an experience in and of itself! With iodine irrigation to prevent harmful bacteria in the gums, water infused with ozone and essential oils, low-radiation X-rays and biocompatible materials, our cleaning is healthier, safer and more effective. Dr. Gashinsky knows how to make your smile beautiful! As a certified Invisalign® provider, he can change your life with these invisible braces. And those who prefer veneers or deep teeth bleaching, they can count on a great-looking and healthy result! We always are looking out for ways to give our patients greater comfort and faster dental appointments, which is why we are proud to introduce NuCalm®, a revolutionary all-natural technology to experience stress-free dental treatments, with no side-effects, no impairments and no recovery time!